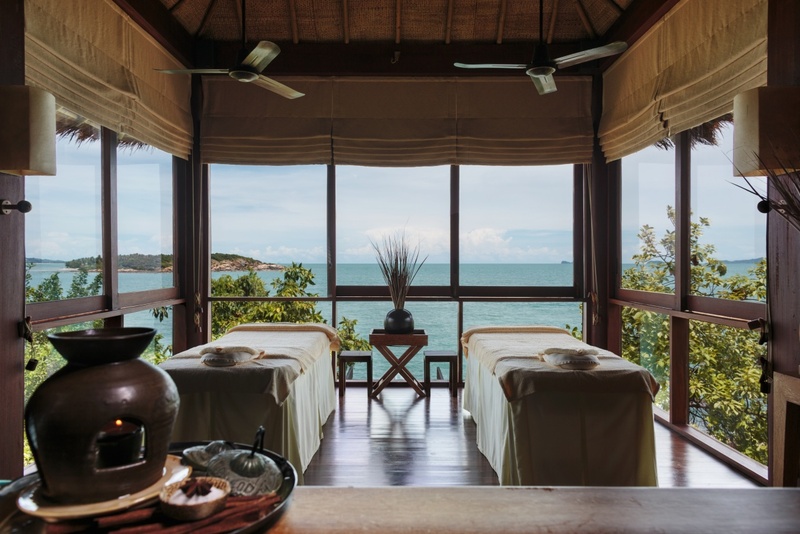 Set on the northern tip of Koh Samui, Six Senses Samui is a haven for peace and relaxation. This only-villa retreat welcomes guests with stunning views, a beautiful, luxury accommodation and fine dining. Whether you are seeking a classic massage, a refreshing facial or a full body therapy, the spa has you covered. 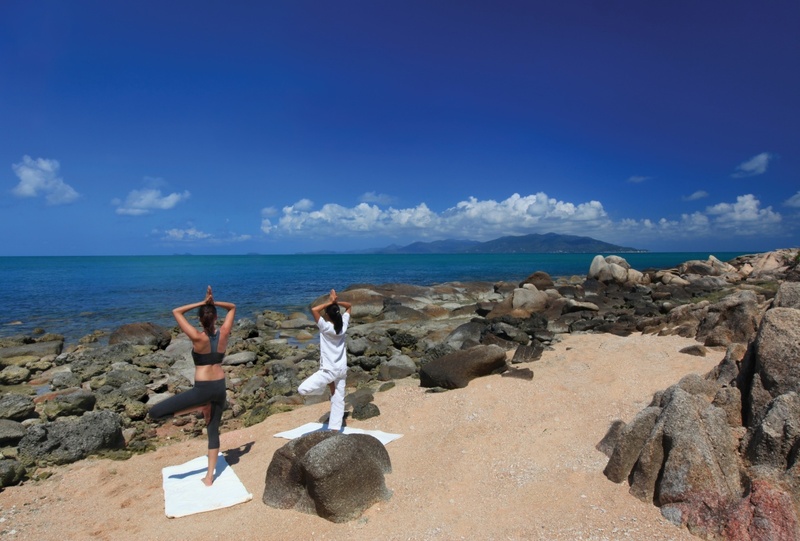 Six Senses are renowned for their exceptional spas and Samui is no different. Take the ‘Two-day Sleep Therapy’, which claims to ease jetlag, insomnia, muscle tension and even broken hearts. Or the ‘Samui Ritual’, which applies coconut to the skin, removes dead skin cells and strengthens new skin tissue to treat dryness and sun damage. The ritual ends with an aromatic coconut massage to leave you smelling as good as you feel. 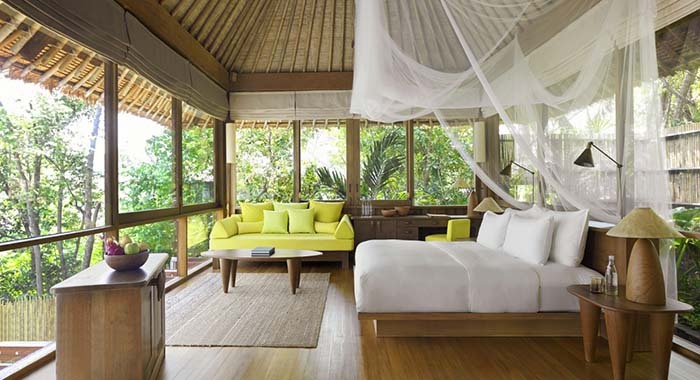 Accommodation at the resort is made up entirely of bamboo-clad villas. 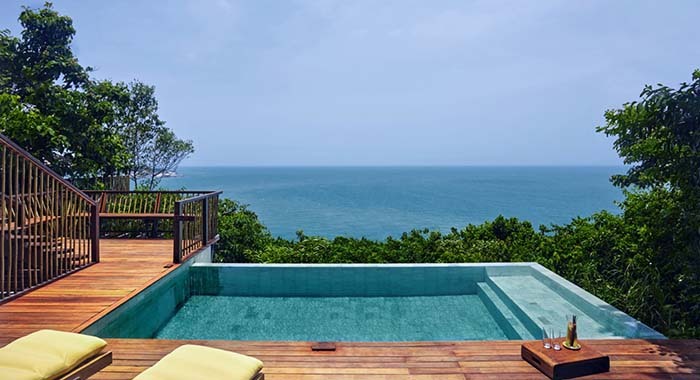 Interiors feature polished wooden floors and lead out to idyllic outdoor areas with daybeds, while some boast infinity pools overlooking the Gulf of Thailand. All the villas offer privacy and space, ranging in size from 130sqm to 300sqm. To make your stay that extra bit special, you can call upon your own butler for any whims that you may have. Dining here is a pleasure. The restaurants use the freshest ingredients and herbs from the resort’s own gardens to produce some of the finest cuisine on the island. 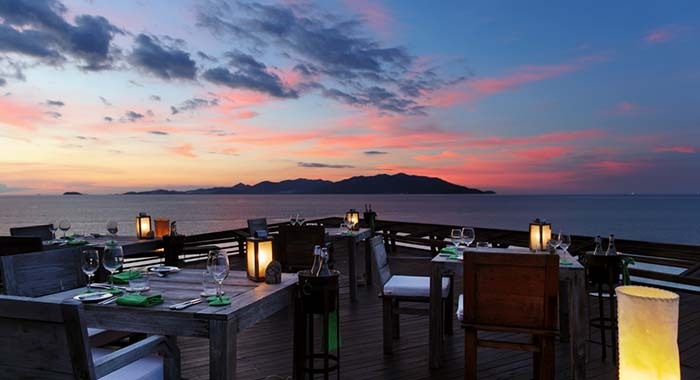 On the one hand, the all-day Dining on the Hill is set in an elevated position with sweeping sea views, perfect for watching the sunset. Dining on the Rocks is made up of nine terraces which lead all the way down to the sea. Each offers its own elegant cocktail bar. 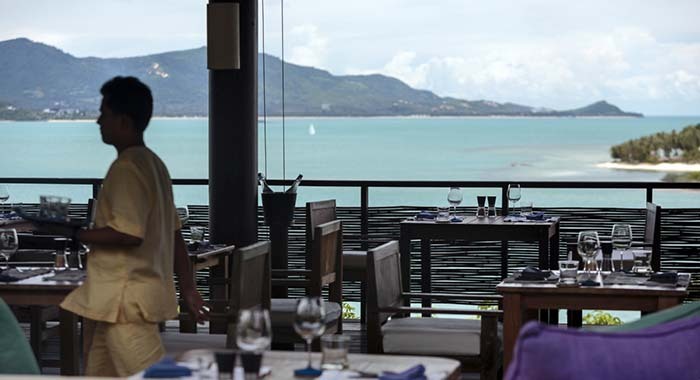 For more information about Six Senses Samui, speak to our experts who have visited the resort and can share their first hand experiences.